OTTAWA, FEB. 7, 2018 – Filled with a burning desire to create positive change for her community, Caitlin Tolley has used her voice at home and on the global stage as an advocate for Indigenous people. On April 12, the Public Policy Forum will recognize her work with the Emerging Leader Award at its Annual Testimonial Dinner & Awards in Toronto. 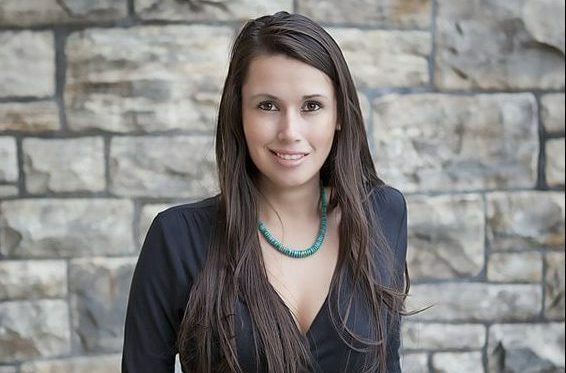 Ms. Tolley, 27, is Algonquin Anishinabe from Kitigan-Zibi, Quebec, and has used her voice on growing platforms to advocate on behalf of Indigenous issues. Elected in 2012 as one of the youngest band councillors in the history of Kitigan-Zibi, she later served two terms as the representative of First Nations youth at the Assembly of First Nations of Quebec-Labrador and the Assembly of First Nations Youth Council. She is a strong supporter of Sisters in Spirit, which raises awareness of the alarmingly high rates of violence against Indigenous women and girls in Canada. In 2016, she was runner-up to Miss Indian World at the Gathering of Nations Pow-Wow in Albuquerque, New Mexico. Ms. Tolley recognizes that she represents her family and community through every endeavour she undertakes. Growing up on reserve, Ms. Tolley said, she knew that she had obligation to one day act as an advocate for Indigenous people. She received her Juris Doctor from the University of Ottawa in 2017 and is currently completing her articling requirements.